Adare Cosmetics Clinic have just introduced PDO Threading to our clinics in Dublin & Adare. 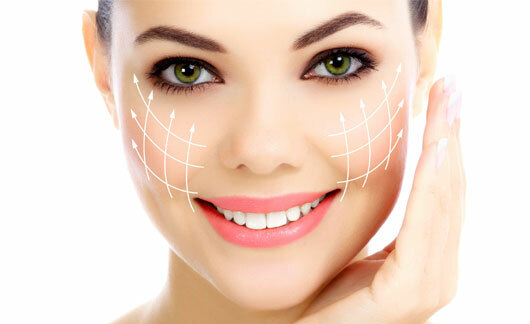 PDO threading is the latest in skin rejuvenation and skin lifting treatments giving an immediate and visible result. PDO (polydioxanone) has been used in surgery for many years but has been developed into an aesthetic procedure to help stimulate collagen production as well as lift the skin using Cog threads. The treatment is carried out using multiple needles with threads attached. These needles are placed in certain areas of the face and neck and when extracted from the skin, the thread is left behind. By pulling gently on the thread, tiny barbs of cogs catch the tissue causing the skin to tighten. The threads that are left behind gradually absorb over a period of 6 to 9 months but collagen synthesis that happens over this time, increase the longevity of treatment results. Results can be truly impressive and the improvement in the appearance of sagging skin around the face and neck are immediate. The procedure takes about 1 hour and generally between 30 to 50 threads are inserted into the skin. Downtime is minimum and results can be seen as soon as the procedure is complete. This technique has decreased the need for more invasive techniques such as face lift surgery.